Let There be GWAR will give fans the world over the most comprehensive guide to the greatest band ever created. Covering the beginning of time at The Dairy in Richmond, Virginia, where the band first met, to their spread across the land like a disease through the 1990s and 2000s, this book is a record and testament to all that is GWAR. Music changed when GWAR entered the arena with their intense performances of blood spewing nuns, ravaging stage shows and outlandish costumes, all while entertaining and awing the growing number of fans across the globe. 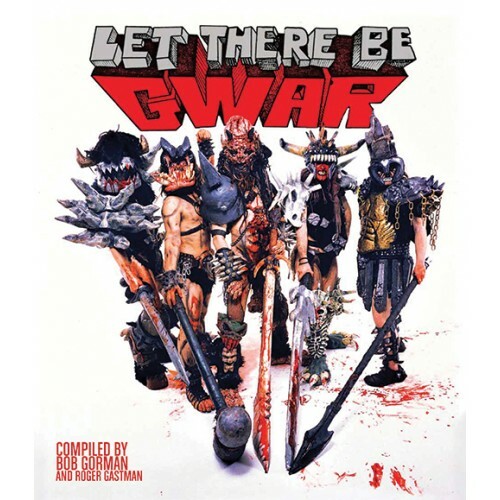 Let There be GWAR takes you through the GWAR kingdom in photos, band posters, ephemera and interviews, chronicling their albums, comics and video in a blood-stained hardbound luxe book. GWAR fans, known as Bohabs, will unite and delight in the wretched world of GWAR through the pages of this monstrous book. Features a three-way “holographic” lenticular cover. dimension 9 1/2" x 11"